It’s the little things that can make your day, like finding a new vegetable on the shelf at the market. 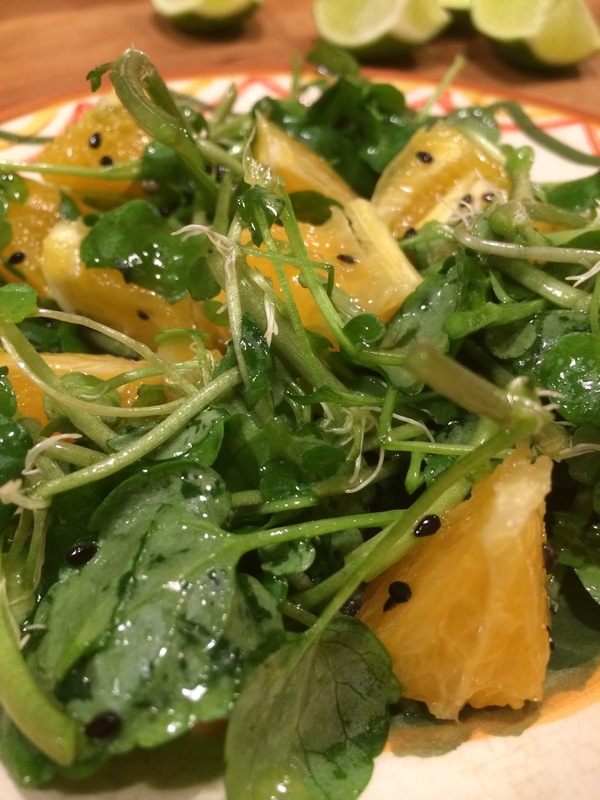 Waitsfield’s hydroponically grown Green Mountain Harvest’s watercress is here. If you’re thinking salad it combines perfectly with fennel, pistachios, avocado, endive, cucumber, jicama, or apple, and if you’re feeling like something Asian give it a try with oranges and a soy vinaigrette. In a mason jar combine a quarter cup of extra virgin olive oil, a minced garlic clove, a tablespoon of rice wine vinegar, a teaspoon each of soy sauce and sesame oil then shake vigorously. Next, peel an orange, remove the pith, and cut the segments into small pieces before combining with the watercress, orange pieces, dressing, and some sesame seeds if you have them.